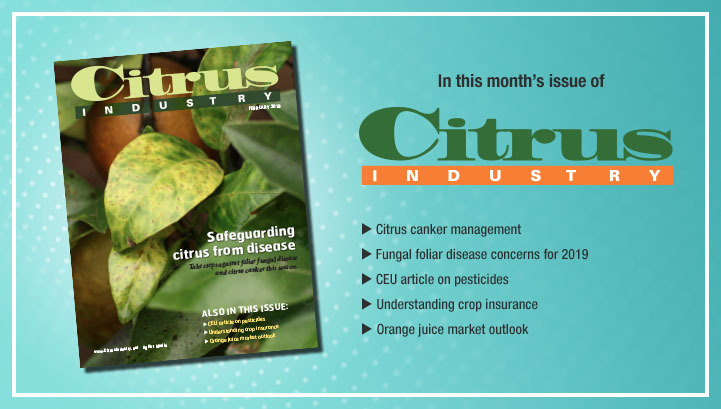 Disease defense is on the agenda for the February 2019 issue of Citrus Industry. University of Florida plant pathologist Megan Dewdney gives growers a fungal foliar disease forecast for this year. She warns that the risk of postbloom fruit drop is greater in 2019 than it was in 2017 and 2018. Other diseases she says growers should to be on the lookout for this season are greasy spot, melanose and black spot. Dewdney describes how growers can best protect their trees from these diseases. Evan Johnson’s citrus canker article will help growers plan an effective canker management program to protect their fruit. If your grove received significant damage from Hurricane Irma, be sure to read this article and heed the author’s advice. Another key topic covered in the February issue is crop insurance. Ariel Singerman explains the types of policies available to citrus growers and gives examples that show the calculations involved. He notes that the annual sales closing date for whole farm revenue protection, one of the newer policy types available, is Feb. 28. 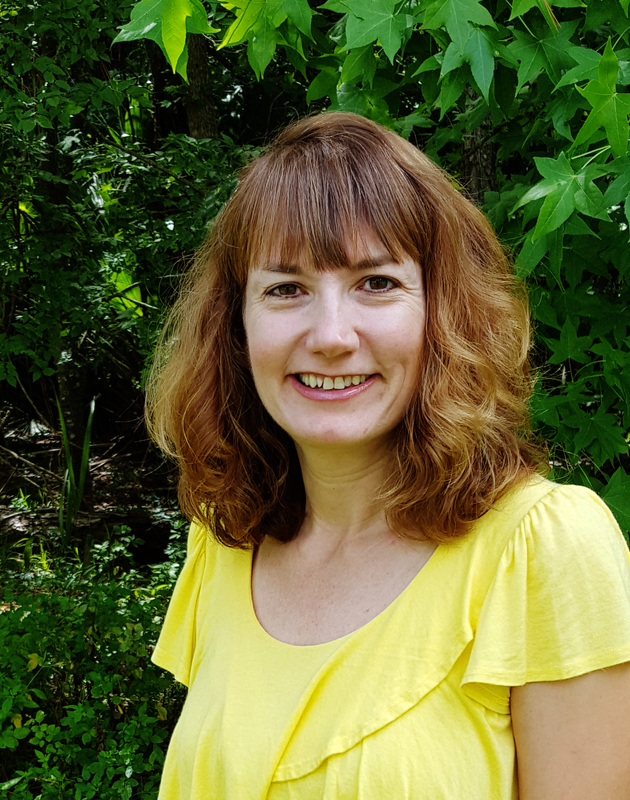 Those looking to renew their Florida restricted-use pesticide license should read Laurie Hurner’s CEU Central article. Her feature on pesticides is good for one Core continuing education unit when the accompanying test is passed. Find all these articles and more, coming soon in the February issue of Citrus Industry magazine.